TIn this first part of a three part series, the author suggests that while there are many articles about how to properly analyze a life insurance policy to determine its value, the critical analysis that is needed is not to ascertain value, but to determine viability. Professional advisors involved in buy-sell and exit and succession planning will want to follow this three part series. 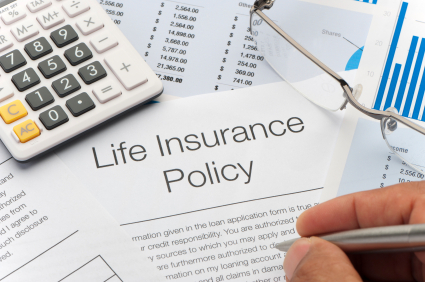 Many articles have been written about how to properly analyze a life insurance policy to determine its value. For a number of financial transactions, establishing an acceptable value for a life insurance policy is a very important need. However, the analysis needed for the majority of life insurance policies is not to ascertain value, but to determine viability. Twenty-four years ago my partners and I developed a unique process for evaluating the viability of life insurance policies. Since that time, this process has been used by a select group of financial advisors, attorneys, and accountants for the benefit of their clients. At no time during this twenty-four year period have we seen such a dramatic rise in the need for this form of analysis as in the past several years. Since the 2008 financial crisis several factors have led to an exponential increase in potential policy failures. This then begs for widespread consumer education and use of processes to evaluate policy viability. For these reasons, in 2014 we established a consumer education website, www.PolicyAudits.com, and a division of our company solely dedicated to auditing life insurance policies. A successful outcome for ownership of most life insurance policies means the death benefit is paid at the insured’s death, having required no more premiums than anticipated, and that the IRR (internal rate of return) at death was reasonably as good or better than other options in the marketplace. A policy that lapses before the insured’s death because a premium was paid early. Filing a death claim only to learn that the carrier has lost all records of beneficiary designations and changes that have taken place over the life of the policy. Learning that your tax-free exchange under Section 1035 triggered $1,000,000+ of taxable ordinary income recognition. After owning a policy for just five years, learning that your remaining premium payments have increased by 100 percent. Fifteen years into a life insurance funded SERP (Supplemental Executive Retirement Plan) discovering that your total outlay exceeds the accrued account values of the key employees you attempted to benefit. Acting in good faith as trustee for a friend, client, or family member, only to be sued by the trust beneficiaries because a greater amount of death benefit could have been received for the premiums paid by the trust. These issues will be addressed in the second part of this series. For now, let us focus on the causes of these potential catastrophes. It has been our belief that policy owners, including major corporations, have not given their life insurance policies the same treatment they might extend to other financial assets. To understand the extent of this behavior, PolicyAudits.com commissioned a national survey conducted by Harris Poll. The survey was conducted in May 2014 among holders of privately purchased life insurance policies. Sadly, our fears were confirmed by the survey. 29 percent said they have not reviewed their policy since they first acquired it. 60 percent think the policy terms are “set in stone”. 60 percent believe their policy benefits are guaranteed forever. 44 percent do not view their life insurance policy as a financial asset or investment, like their 401(k). 47 percent say that their insurance agent has never encouraged them to review the performance of their policy. A significant amount of life insurance is owned by trusts. The trustees are often family members or business associates and sometimes professionals in a bank’s trust department. Unfortunately, the statistics for trustees meeting their fiduciary obligations for monitoring the performance of the policies held by the trust is no better than those realized in the Harris survey. The following chart illustrates the magnitude of this problem of inattention. A multitude of problems systemic to the process of buying and maintaining life insurance plagues the insurance industry. Many have existed for decades; some have emerged due to the financial crisis. The life insurance industry has long held the belief that agents are necessary to sell life insurance. Unfortunately, the number of agents has decreased since the financial crisis. 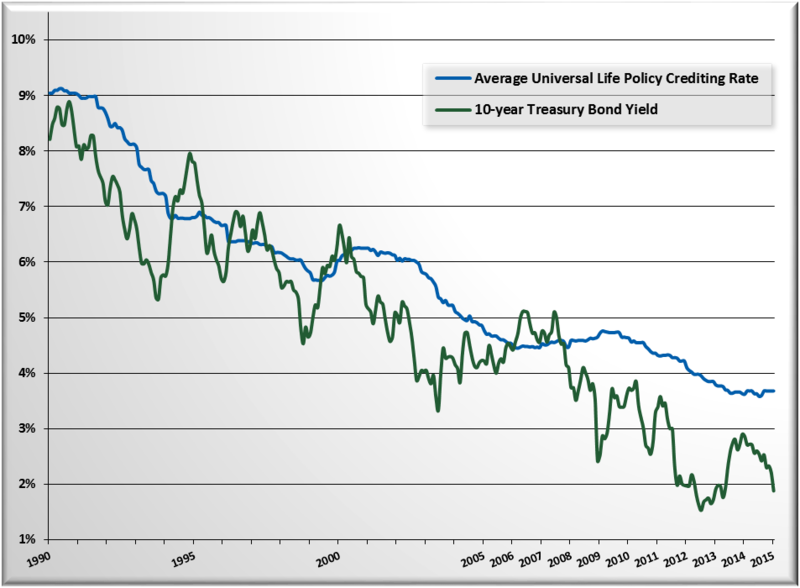 At the same time, policy choices have increased and become more complex, with the changes occurring more frequently. The average shelf life for carrier products is now only twenty-four months. That agents do not encourage policy reviews, is not purposeful or by design. It is often because of their simple lack of knowledge about a complicated product’s intricacies. The carriers themselves have not been proactive in helping their customers review policy performance. Annual policy statements sent by almost all carriers make policy performance difficult if not impossible to understand. Adding to the problem is the fact that many carriers reduced their policy service personnel following the financial crisis. Unfortunately, there have also been a multitude of misleading sales practices throughout the industry. Underfunding: Many policies are funded only to maintain coverage for short periods of time, when the need is long-term. If the underfunding continues for too long, the cost of correction may be excessive. In fact, it is estimated that 35 percent of all policies issued between 1985 and 2005 will lapse before the insured dies. Unrealistic interest and dividend projections: Due to the type of financial assets held by carriers, anticipating declines in policy crediting rates (see chart) did not require genius. Agent bias: Some agents are required to place most or all of the policies they write with a single carrier. These career agencies often have contractual disincentives for agents to disclose policy underperformance that might risk replacement of the policies they have written. These myriad issues have led to numerous failures for policy owners. If left unaddressed, the rise in the rate of these failures may threaten the viability of life insurance as a cornerstone of planning for many a business and family. The second part in this three-part series will detail the problems uncovered by our policy auditing process. It will also explain the requirements for policy owners, trustees, and their advisors to meet their responsibilities and avoid catastrophe.